Price is 4% below the initial Lego retail price, a € 0.42 discount! This comes down to 12.49 cent per brick. 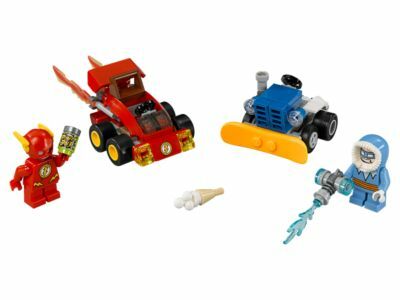 The Mighty Micros: The Flash™ vs. Captain Cold™ (76063) Lego set is no longer directly available from the sites below. However, 3rd party partners of these sites might still have the set available. Alternate description Drive The Flash's Mighty Micros car into battle with Captain Cold's snowplow. Includes 2 minifigures with mini legs, freeze gun, snow cone and energy drink elements.